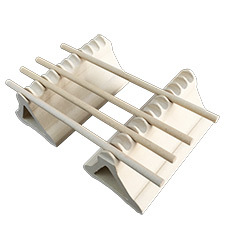 These tile racks are useful in bisque, decal, and glaze firing. 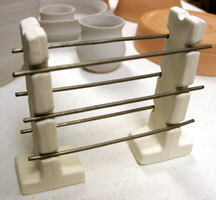 Two stoneware supports with (6) 6" wires allow firing of beads and hanging objects. 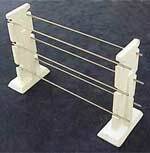 Stagger wires to accommodate any size object. NOT designed for raku firing. Maximum firing temp. is Cone 6. *Note: Too much weight will cause support wires to bend. 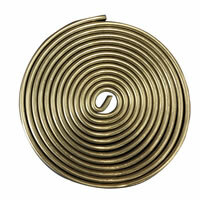 One 9" tall round stoneware support with (6) 6" wires allows firing of beads and hanging objects. 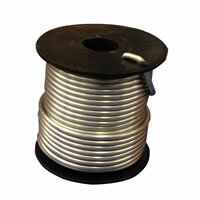 Stagger wires to accommodate any size object. NOT designed for raku firing. Maximum firing temp. is Cone 6. 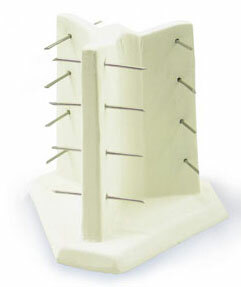 Two stoneware supports with (6) 10" 9-gauge wires allow firing of beads and hanging objects. 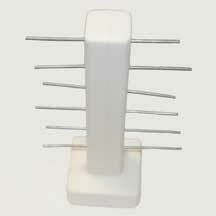 Stagger wires to accommodate any size object. NOT designed for raku firing. Maximum firing temp. is Cone 6. Cone 10 (2400 F). This rack is made from two durable cast stoneware supports with four 6"
are heavy gauge metal and can withstand multiple firings. Shorter wires prevent sagging. 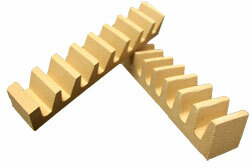 Removable for firing long objects. Holds up to 24 beads in one firing. 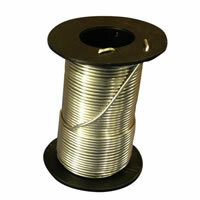 Supplied with 14 gauge Nichrome wire. Cone 6 maximum. Bead Tree is NOT designed to be used for raku firing. 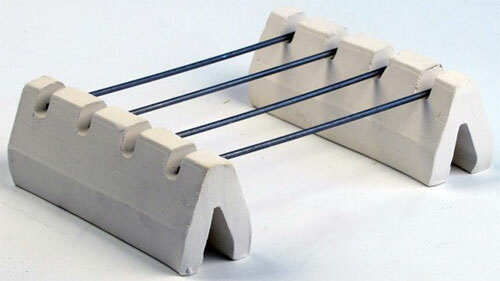 Two stoneware supports with (4) 6 inch ceramic rods. 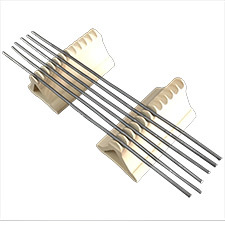 Add the optional set of 6 wire supports for additional configuration options Maximum firing temp. is Cone 6. 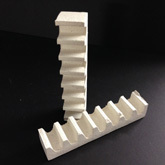 For use during kiln firing-- stays strong in extreme heat over long periods of time. 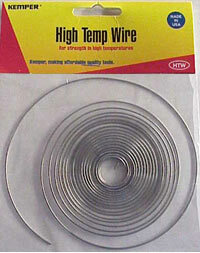 A great general purpose support wire. 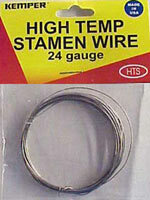 For use with kiln firing, stamen wire is designed to be used for decoration, jewelry, and armatures.